Crazy Escape is a drawing-based puzzle game - that is to say you use your finger to draw the path that the protagonists take in their jeep as they collect stars and objects, rescue sheep, and escape the clutches of the evil wolves. Clearly the drawing-type game takes full advantage of the tablet and smartphone touchscreen element in a way that few mobile games can - and CE does this with a game play environment that very nicely compliments the platform. As noted, the basic premise is simple enough: a pair of left-wing penguins have managed to obtain a jeep and, finding themselves in Wolf country with a desire to rescue poor and innocent sheep, they proceed to ride around the countryside, terrorizing wolves at every opportunity, and rescue them some sheep! 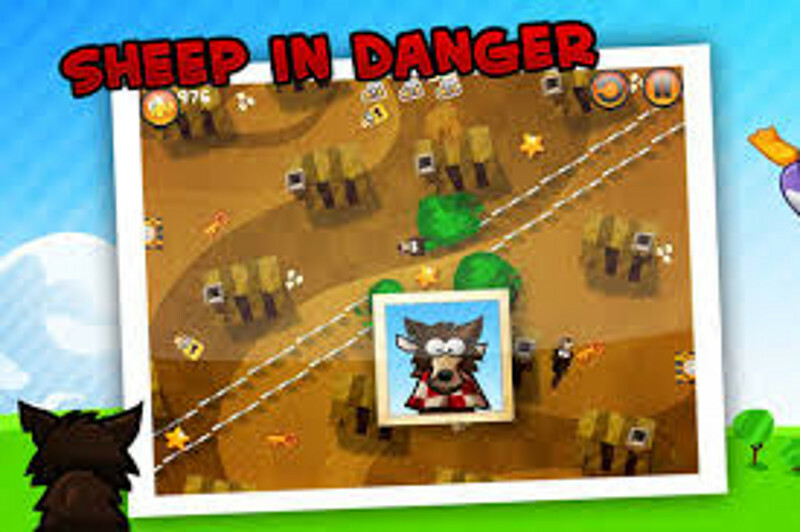 The game uses a very simple scoring system that is based in part upon the players success in getting all of the objectives for the level collected - stars, sheep, and the like - while creating as short a route as possible in terms of the distance that they drive in their jeep. Each level includes a combination of impediments and dangers for the player to avoid while planning their route! That process is complicated as the levels progress by trees, bushes, wolves, and buildings - objects that the penguins cannot hit in other words - and fences that they can hit. In addition to that, some of the sheep will be chained and locked up, which requires the player to plan out a route that allows them to collect the lock key, before they can rescue the sheep, which often adds to the challenge of the levels. Game play is broken up into sections and levels. The sections are unlocked by completing 50 levels, 100 levels, 175 levels, and so on.